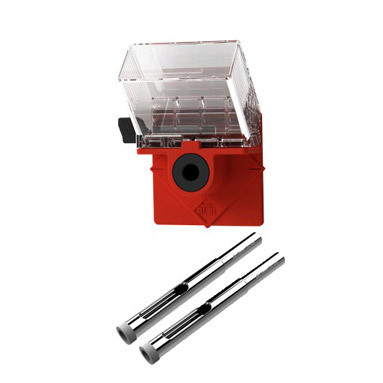 Rubi Easy Gres DIY tile drill bits kit. 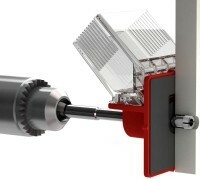 Featuring 6.5mm & 10mm diamond drill bits for drilling into porcelain, ceramic tiles, granite, marble and glass. Also included is the innovative Easy Gres guide for precise positioning and convenient water cooling.